Price Reduced!!!! Must See...newly installed laminate floor, December 2018. 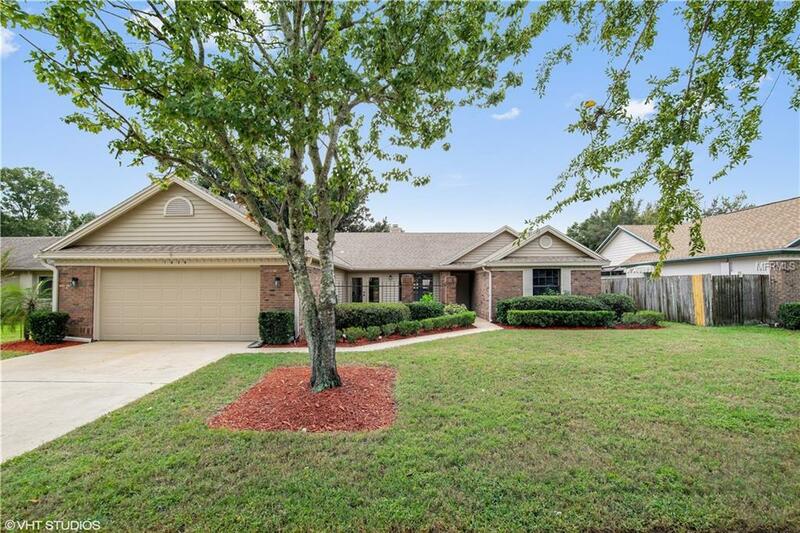 Charming split floor plan 4 bedroom, 2 bath home located in a quiet, tree lined Longwood neighborhood. Open floor plan that's light and bright! New kitchen cabinets and countertops, 2017, new Samsung stainless steel appliances, refrigerator, 5 burner glass cooktop oven, microwave and dishwasher, 2018. Enjoy opening newly installed french doors in kitchen, family room and living room, which opens to a gorgeous 9' x 20' wood deck. Master bedroom has an extended sitting room and expansive dressing area, in-suite bath, with new cabinets and dual sinks, 2017. Separate tub and shower and huge walk in closet. Extra features of this home include fresh paint interior and exterior, newly renovated second bathroom, 2018. It doesn't stop there, new irrigation system, 2018, a/c and expanded ductwork, 2014, new roof, 2015. Washer and Dryer convey, natural gas used for HVAC and dryer, can be extended to kitchen for gas stove/oven. Well established front yard shrubs and garden beds. Call today to schedule an appointment, this beauty won't last!! !